A number of countries restrict the entry and/or residence of people with HIV. Restrictions are not always consistently enforced. Restrictions can change with little notice and it is important to seek up-to-date information. A number of countries restrict entry for people with HIV. This means that foreigners with HIV may be refused entry, denied permission to work or settle, or even be deported. The situation is complex and changes from country to country. A few countries ban all foreign HIV-positive individuals from entering a country; others have no entry restrictions for tourists but require individuals to be HIV negative in order to apply for a work or residence permit. How these restrictions are enforced varies. In some countries, people applying for a visa or residency permit may be obliged to take an HIV test or to prove their HIV-negative status. In others, no documentation may be requested, but a foreigner who is found to have HIV could be deported. Not all countries have specific immigration laws relating to HIV but this does not mean that declaring HIV status will not cause issues. More positively, the number of countries restricting travel by people with HIV has reduced in recent years. A large number of countries have legislation clearly stating that entry and permission to live and work will not be affected by HIV status. Most countries do not require any type of medical tests either for short-term or long-term stays. Restrictions on entry and residence for HIV-positive individuals can change quickly and with very little notice. Below we set out some general guidance on current regulations across different continents, based on information from the website www.hivtravel.org. This is provided by Deutsche AIDS-Hilfe, the European AIDS Treatment Group and the International AIDS Society. Please note that country-specific regulations may have changed since the time of writing, and before any travel arrangements are made it is advisable to check the www.hivtravel.org website for up-to-date details by country. Regulations regarding working and your HIV status also differ by country, and so should you intend to work abroad then you are advised to check the country-specific page on the www.hivtravel.org website. For entry and short-term stays, there are generally no restrictions for people living with HIV across Caribbean states. The following countries have restrictions on long-term stays: Cuba, Dominican Republic, St. Kitts & Nevis and St. Vincent & the Grenadines. Note that in Aruba, the Cayman Islands, St. Kitts & Nevis and St. Vincent & the Grenadines regulations are unclear or inconclusive, and no information is available for Bermuda. You are advised to contact their respective embassies prior to travelling for clear guidance. For entry and short-term stays, there are generally no restrictions for people living with HIV across East Asian states. In China, although the country has lifted its ban on short-term visitors with HIV/AIDS the website www.hivtravel.org still recommends not to declare your status on visa application forms and to be careful with voluntary status declaration (e.g. refrain from wearing red ribbon stickers). An HIV test is required for work and study visa applications of more than six months in China. The only country in East Asia that will deport on the basis of HIV status is the Democratic People's Republic of Korea (North Korea). The only country in Eastern Europe & Central Asia that may restrict entry on the basis of HIV status is Russia. Here you are required to present a negative HIV test result for a stay exceeding three months, or if you are using a multi-entry visa. No HIV testing is required for short-term tourist stays in Russia (up to three months), but foreign residents found to be HIV positive are expelled. In addition to Russia, restrictions over both short-term and long-term visits apply in Azerbaijan and Kyrgyzstan. Kazakhstan has restrictions over long-term visits. It should be noted, however, that in Kazakhstan and Kyrgyzstan regulations are unclear or inconclusive. You are advised to contact their respective embassies prior to travelling for clear guidance. For entry and short-term stays, there are generally no restrictions for people living with HIV across Latin American states. There are restrictions over long-term stays in Honduras, Nicaragua and Paraguay. In Paraguay, for example, those travelling to the country with the intention of applying for permanent residency are required to undergo HIV testing. A residence permit is not granted in the case of a positive test result. Note that in Aruba and Suriname regulations are unclear or inconclusive. You are advised to contact their respective embassies prior to travelling for clear guidance. North Africa & the Middle East is a restrictive region regarding travelling and HIV status. An HIV-positive status may deny you entry to the following countries: Iraq, Jordan, United Arab Emirates and Yemen. In addition to these countries, the following also deport individuals based on HIV status: Bahrain, Egypt, Kuwait, Lebanon, Oman, Qatar, Saudi Arabia and Syria. These restrictions may apply to both short-term and long-term stays. As well as those listed, Israel and Tunisia also have regulations over long-term stays. In Israel, for example, work permit applicants are required to present a medical certificate and undergo blood testing. Note that regulations are unclear or inconclusive in Libya and Tunisia. You are advised to contact their respective embassies prior to travelling for clear guidance. For entry and short-term stays, there are generally no restrictions for people living with HIV across North American states. In the case of the USA, customs regulations require people entering with prescription medication (including antiretroviral drugs) to carry a doctor’s certificate in English, stating that the drugs are required to treat a personal condition. Previously, the US travel ban prevented visits to the US by people with HIV, except in exceptional circumstances. Although the ban was widely flouted, individuals with HIV who were detected by US immigration staff were refused entry to the country and deported. Following the removal of this ban in January 2010, HIV-positive individuals can now legally visit and migrate to the US. In Canada, all foreigners intending to stay for more than six months must get tested for HIV. Long-term visitors are assessed on the basis of how much ‘excessive demand’ they may place on the Canadian health service. Following a recent revision to the law, the threshold for what is deemed excessive demand was tripled to CDN$19,965. This means that many people living with HIV will no longer be found medically inadmissible and excluded from immigration to Canada. However, should you be seeking a long-term stay in Canada then you are advised to consult the country’s embassy to see how the regulations may affect your particular circumstances. For entry and short-term stays, there are generally no restrictions for people living with HIV across Oceanic states. The exceptions to this are the Solomon Islands, where entry may be denied on the basis of HIV status, and the Marshall Islands, where HIV testing is required for temporary visitors staying more than 30 days. In Australia, HIV testing for long-term visa applicants over the age of 15 is required. Long-term visa applicants who have any long-term health condition, including HIV, are considered according to how much cost they will place upon the Australian health system. Information on this can be found on the Australian Government’s website. The following countries also have restrictions on long-term stays: Marshall Islands, Papua New Guinea, Samoa, Soloman Islands and Tonga. Note that in Micronesia, Solomon Islands and Tonga regulations are unclear or inconclusive, while in Kiribati there is no information available on travel restrictions relating to HIV status. You are advised to contact their respective embassies prior to travelling for clear guidance. There are generally few restrictions on entry and short-term stays across South & South East Asia. The exceptions to this are Brunei, where people known to be HIV positive are prohibited from entering and those found to be HIV positive face deportation, and Bhutan, where travellers must present the results of an HIV/AIDS test completed within the six months prior to their visit if they wish to stay for longer than two weeks. Other than Bahrain and Bhutan, Iran, Malaysia and Singapore also have restrictions on long-term stays. Note that in Iran, Maldives, Malaysia and Sri Lanka regulations are unclear or inconclusive. You are advised to contact their respective embassies prior to travelling for clear guidance. There are generally few restrictions regarding entry to African states and HIV status, with the exception of Equatorial Guinea. Here you may have to present an HIV test certificate, and HIV-positive status could lead to refusal of entry or deportation. The following countries have restrictions on long-term stays: Equatorial Guinea, Mauritius, Seychelles, Sudan and Tunisia. Note that regulations are unclear or inconclusive in the following countries: Angola, Eritrea and Nigeria. In addition, no information could be found for São Tomé and Prinicipe. You are advised to contact their respective embassies prior to travelling for clear guidance. For entry and short-term stays, there are generally no restrictions for people living with HIV across Western & Central European states. In Poland HIV-testing is mandatory for longer visits (beyond 90 days), independent of purpose of stay. In Hungary, a person may be expelled from the country should they refuse to be treated for their HIV. Otherwise, there are no restrictions across the region for long-term stays. When contacting an embassy or consulate to ask about travel restrictions, an individual’s name and HIV status can be kept anonymous. For British Overseas Territories, The Foreign & Commonwealth Office website is a good place to start at www.fco.gov.uk. It may also be beneficial to contact an HIV organisation in the destination country to ask for information. If a country does have entry restrictions, people with HIV who still decide to travel risk being refused entry or deported. It is worth noting that some countries will offer waivers under certain circumstances, particularly if the trip is to visit family members, but they may be difficult to obtain. 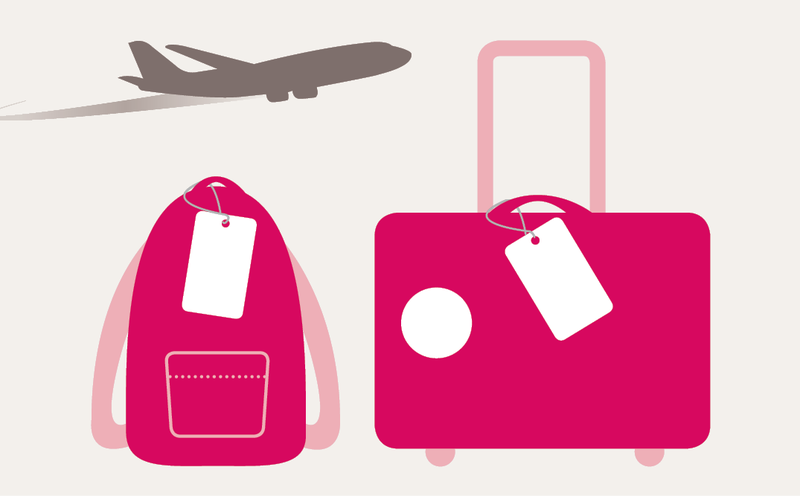 Travel restrictions for people with HIV can change quickly and so need to be checked before any trip. China and America are two examples of countries that recently lifted their restrictions on HIV-positive visitors. In countries where restrictions have been recently changed, extra caution should be taken if discussing HIV status. If someone with HIV flouted the regulation and travelled into a country when the ban was in place, they could still be open to deportation following a travel ban being lifted. This could happen if there was proof that the individual knew of their HIV-positive status when the ban was in place and still entered the country. In this circumstance, the individual would have broken the law in the past and could be deported for that reason.